We carried out a 16-month in situ study to investigate the ecology of Vibrio spp. and pathogenic Vibrio species in coastal sediments of the Mediterranean Sea, employing multiple-regression analysis to reveal the major environmental factors controlling their occurrence in the benthic environment. In addition, association between vibrios and sediment-inhabiting meiofauna, which is a major component of benthic ecosystems, was investigated. Culturable and total Vibrio spp. estimates by most-probable-number technique coupled with standard polymerase chain reaction (PCR) and real-time PCR methods, respectively, were at least one order of magnitude higher in sediment than in seawater. In addition, potential human pathogenic species Vibrio cholerae, Vibrio vulnificus and Vibrio parahaemolyticus occurred in the sediment with V. parahaemolyticus being the most frequently found. In the pelagic environment, 60% of total variance in culturable Vibrio data was explained by sea surface temperature (40%), salinity (13%) and organic matter concentration (7%). In the benthic environment, sea surface temperature was the only factor that significantly affected culturable Vibrio occurrence although it explained only 25% of total variance, suggesting that additional unexplored factors may play a role as well. No correlation was found between culturable Vibrio spp. concentrations and the abundance of harpacticoid copepods in the sediment whilst a negative correlation was found between Vibrio spp. and nematode abundance which accounted for almost 90% of the total meiofaunal density. 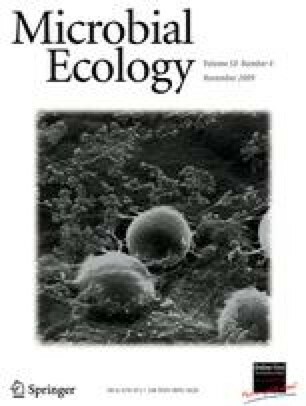 Taxonomic analysis revealed that selective bacterial feeders accounted for nearly 50% of the total nematode community and included genera such as Terschellingia, Molgolaimus and Halalaimus, suggesting that top-down control by nematode grazing may be an important factor affecting Vibrio occurrence in these sediments. It is concluded that the benthic marine environment may function as a reservoir of Vibrio spp. and potential pathogenic vibrios whose ecological features appeared substantially different from the ones recognised in the pelagic environment. We thank Dr. Barbara Repetto, Dr. Giovanni Giusto and Dr. Monica Stauder of the University of Genoa for precious help with microbiological analyses. We also thank Maurizio Costa (Osservatorio Ligure Pesca e Ambiente-OLPA) for collecting samples and environmental field data. This study was carried out with the support of the “VibrioSea project”. “VibrioSea” is an ongoing international research project funded by the Centre National d’Etudes Spatiales (CNES) and Institut Pasteur, France. The project is conducted by the VibrioSea consortium including the following institutions and leading researchers: CNES (Murielle Lafaye), MEDIAS (Jean Pierre Lacaux), CLS (Jacques Stump) and IFREMER (Dominique Hervio-Hearth) from France, University of Verona (Maria del Mar Lleò), University of Genova (Carla Pruzzo) and ISMAR-CNR Venezia (Giorgio Socal) from Italy and the Institut Pasteur from Paris (Marie Laure Quilici), Morocco (Nozha Cohen), Algeria (Fouzia Mouffok) and Tunisia (Ridha Ben Aissa).